Finally going back to old areas of explorations. In August, David Hempelman-Adams and I, pluss four very good friends embarked the sailing yacht “North About” in Nuuk – Greenland. Ambition was to reach the plateau on the most Southern Inland ice. 22 years ago, Torry and I, where hauling our sleds South and North on this plateau, as the first “Greenland lengthways Expedition”. 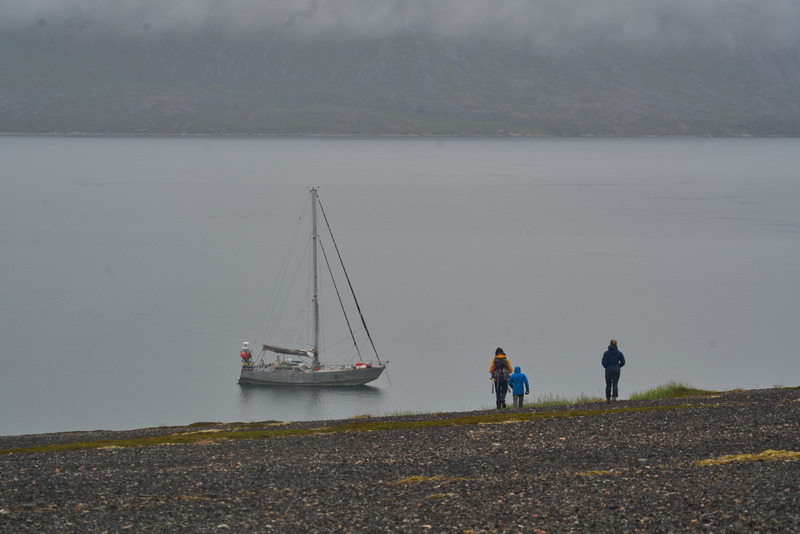 Took us four days to sail down to Nanortaliq and Ketils Fjord, before we got on shore and started our ferrying and hiking up towards the glacier and further on. We had some days with very good weather, and some days with rainy wet days. We did not have a clue what was in front of us in the glacier when we started the accent. This was an expedition with very little information what we would experience. Tried several routes up, but came to dead ends several time. Understood in the end, that this had to be done next year or year after. This year we did not find any safe route through the glacier fall. Last attempt to get through the glacier. Looking down and not up! On our way back down through the glacier.